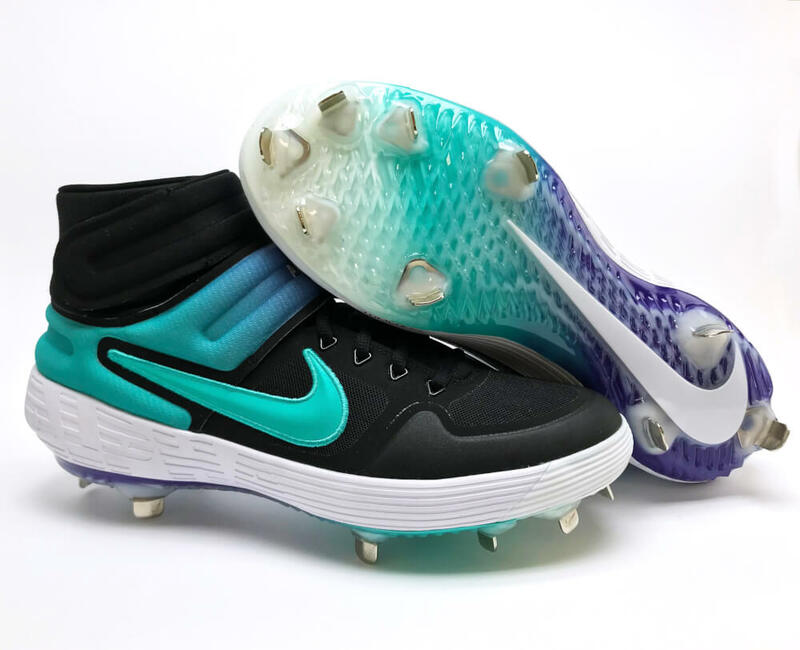 The mint-to-purple gradient fade is basically a guarantee I'm going to love 'em, but these new Nike Alpha Huarache Elite 2 cleats for Nolan Arenado are pure sauce on spikes. The Alpha Huarache 2 basically completes the evolution of baseball cleats to basketball shoes on spikes. Many players are looking for this feel, and Nike accomplished this beautifully with the Alpha Huarache Elite 2. How do they feel? We don't know, but considering the amount of playoff starters trotting them out to their post in October, they probably feel pretty damn good. Shop the available colorways (Arenado's is a player exclusive) at the link.